Does a woman’s skin age faster than a man’s? There is bad news for beauty conscious women who are desirous of preserving their youthful charm and would like to have a taut and firm skin sans wrinkles even in their advancing years. A German study using a new laser-based technique to measure damage from sun exposure and aging has shown that a woman’s skin ages faster than a man’s. Looks like Mother Nature is partial towards men in this matter too. Now onto the details. Collagens are a group of proteins in the dermis, the connective tissue layer of the skin, and are responsible for responsible for giving skin its strength and elasticity. 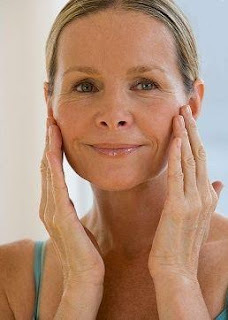 As you get older your body produces less collagen so your skin looks droopy and wrinkled. Using a new laser imaging technique, researchers from Germany's Freidrich Schiller University in Jena and the Fraunhofer Institute of Biomedical Technology in St. Ingbert looked at the deeper layers of the skin and measured the amount of damage from sun exposure and aging. The imaging of collagen and elastin, whose degeneration causes wrinkles and loss of smoothness, revealed that women lose collagen at a faster rate than men. So whether you like it or not, it's a fact that a woman's skin ages faster than a man's.